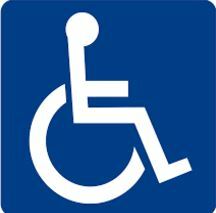 Interestingly, one in five Australians live with some kind of disability. Yes, that’s right, 20% of the population of around 24,000,000 people live their lives managing a disability to a greater or lesser degree. However, only about 53% of this group participate in the workforce. Are you among them? To obtain and sustain meaningful employment in a government sector role will add a dimension to your life; a dimension that will provide you with the satisfaction that you are contributing to society and making an effort to care for your own needs. The Australian Government not only encourages those with disabilities to seek out employment, but also provides support to apply for Government sector roles. Public Service Resumes Disability Career Services writers have worked with thousands of Australians who have a Disability, out writers in ex Government Senior HR team members who will have the knowledge, experience and capabilities of compiling your Government application. As you already know, not all disabilities affect people the same way. Your personal limitations differ completely from that of another. Once you have found a job you wish to apply for, it becomes vitally important for your prospective employee to see your full value to their company. To accomplish that, your Cover Letter, Resume and Key Selection Criteria responses need to be high-calibre, representing your potential and benefits to the employer. That’s why it is essential for you to employ the expertise of Public Service Resumes. Your skilled writer will do their absolute best to showcase your talents and provide solid reasons for you to be considered for the role. You may not realise that there are many opportunities within the government sector for people with disabilities. There is far more out there than you, a disabled person, can imagine. At all levels, there are graduate roles to senior positions that are entirely suitable for a person with mental or physical restrictions. There is no need to limit yourself more than you already are! The Australian Government is committed to ensuring that people with disabilities receive opportunities to reach their potential. Take advantage of Public Service Resumes Disability Career Services today, we have a team of staff waiting to help you. The Australian Government has many policies and programs in place to not only protect those disadvantaged but also to promote their abilities and enhance their wellbeing and self-worth. For example, the Equal Opportunity Act 2010, Section 15 states as its purpose: “Duty to eliminate discrimination, sexual harassment or victimisation.” Once upon a time, disabilities, physical or mental, presented as massive potential barriers to prospective employees. Thankfully, there are programs and funding that remove this hurdle so that your employer is not impinged by having you as a member of their team. Take advantage of being in the ‘lucky country’ and explore the opportunities out there that are tailor made for you. There are many not-for-profit, as well as government funded organisations, that are dedicated to helping disabled Australians find and keep sustainable employment. If this prospect appeals to you, but also scares you at the same time, there are numerous training programs and skill development services targeted at facilitating a smooth transition into the workforce and enjoy the same benefits as every other working Australian.